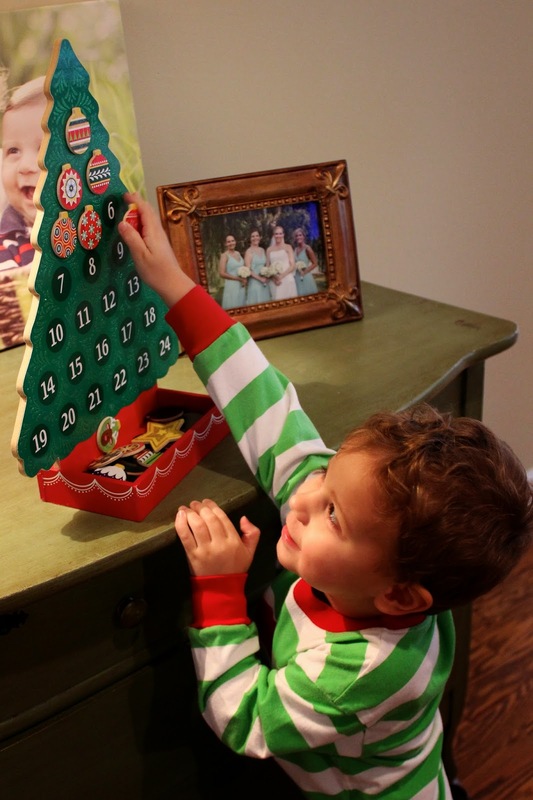 I searched high and low for a fun Advent Calendar for us this year. I didn't want to pay a fortune, I wanted it to be reusable, I didn't want it to hold candy, and I preferred it to be Biblically based. 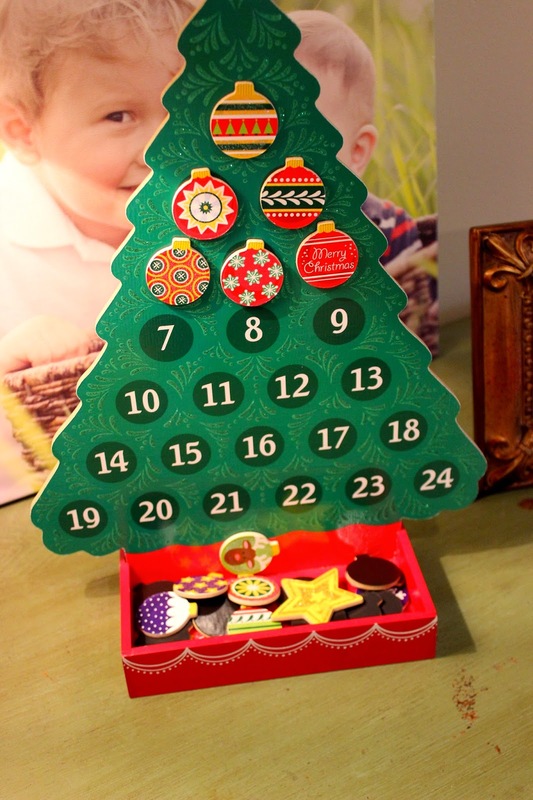 After looking all over creation for one, I finally settled for this cute magnetic one from Melissa & Doug. It covers all of my criteria except the Biblically-based part. I know that's a biggie, but it also doesn't SCREAM Santa. I was thisclose to settling on a Lego one where you built a Christmas village, but I'm glad that we settled on this. The boys LOVE IT. James is the odd days and Will is the even days and we're hoping Santa will place the star on top so that each one has the same number of days.